As with life expectancy at birth, variations also exist across Devon for life expectancy at the age 65, which highlights how many years, on average, someone reaching the age of 65 can expect to live. 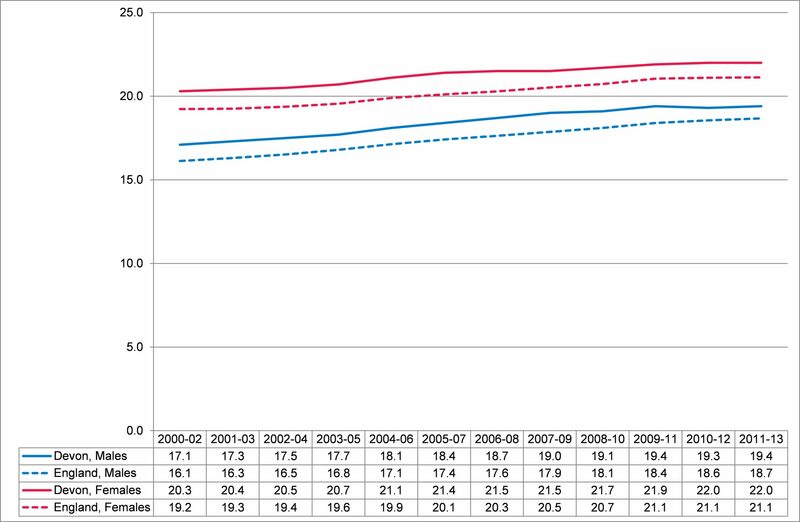 Table 10.1 sets out the current average life expectancy at age 65 in Devon, with males living 18.7 years and females living 21.1 years on average, a difference of 2.4 years. 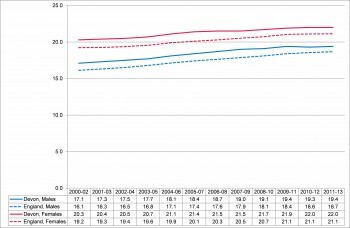 Figure 10.1 shows the trend in male and female life expectancy at age 65, highlighting that life expectancy has increased over recent years, and that life expectancy at age 65 in Devon has been consistently above the England average. Differences in average life expectancy exist within Devon, with shorter life expectancy seen in more deprived areas and areas with a high concentration of care homes. This is highlighted by the fact that average life expectancy at the age of 65 in the most deprived areas of Devon is 18.4 years compared to 21.8 years in the least deprived areas, a difference of 3.4 years.